I haven’t had a haircut since I came to Japan and it was getting quite long. Luckily, I met a friend who was a hairstylist. My friend works in a city called Takahadafudou, which I found difficult to pronounce at first, and I had to take a monorail to get there. I had some free time so I wandered around the city for a while and came across a temple. 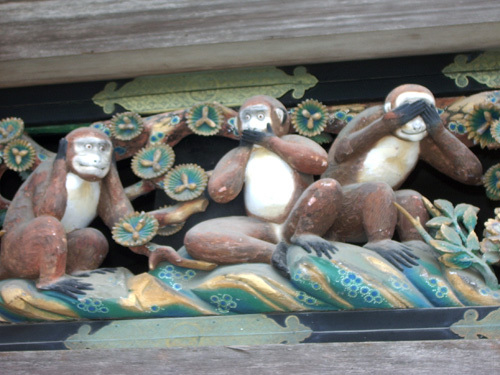 Amazed that wherever I went in Japan there is always something interesting, I took a walk around the temple grounds. So I got a good haircut and good pictures of a temple on the same day. 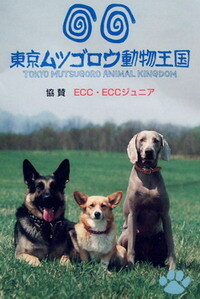 So what is Mutsugoro Animal Kingdom? It is a brand new animal park in Tokyo. Why am I telling you this? Because ECC sponsored the opening of the park and they asked me to go there and promote ECC. It was a very interesting day that really didn’t seem like work. I watched the ribbon cutting and even saw Mr. Mutsugoro himself. Mr. Mutsugoro is supposedly some really famous Japanese guy that has traveled the world to help animals. My job was to simply hand out ECC brochures. As it was a grand opening, and the park actually had very few animals, there were not very many people there so my job was very easy. I got to take long breaks to walk around the animal park and see the horses, dogs, and cats, which is actually the only animals the park will have. Overall, it was still an interesting experience. Here is the other ECC teacher at our table. He planned ahead and wore sunblock, I unfortunately got burnt. 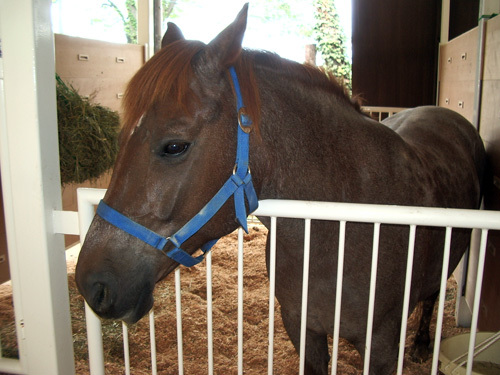 One of the 8 horses they currently have. Soon they should have around 40. A dog… They had random dogs just walking around the park saying hello to everyone. In Japanese the word hanabi is made from two kanji, the one for flower followed by the one for fire, thus hanabi is the Japanese word for fireworks. 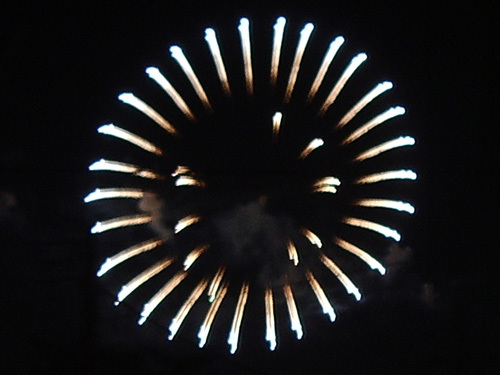 Unlike the United States, the Japanese really know how to put on a good fireworks show! The show ran for an entire hour with an uncountable variety of fireworks. Some were amazingly huge and some in the shapes of famous Japanese characters like Doraemon. The amount of people that gathered was also amazing as it is practically impossible to get on a train for hours after the show. I went to the hanabi with some friends of mine and we really had a good time. After taking a bus and a train to Chofu station we slowly made our way through the mass of people in the station and towards the fireworks. It took us much longer than we expected as the fireworks started before we even were in sight. For the next 30 minutes we walked closer and closer through gigantic crowds of people while enjoying the show above. We finally found a good spot soon afterwards where we enjoyed the rest of the show. When the show was over we got on the bus at the stop directly in front of us. For the next 1.5 hours we sat on the bus to the station and talked as it sat mostly stationary while the street filled with people. At the station we had no plans on getting into a crowd of people and getting packed into a train so we decided to have some dinner at an izakaya (traditional Japanese bar/restaurant). As we sat and ate there were two guys at the table next to us who really seemed to want to practice their English with me. The 5 of us (my 2 friends, the 2 guys at the next table, and I) talked, ate, and drank there until the place closed around 3am. At that time all the buses and trains had stopped running. Being wide awake my friends and I decided to walk back home, so we said goodbye to our new Japanese friends and started walking. After playing shiritori as we walked, at 5am we watched the sun rise and went home. The perfect end to an amazing evening. I finally got to sleep at 6am… only to get up 4 hours later to go to the immigration office in downtown Tokyo. 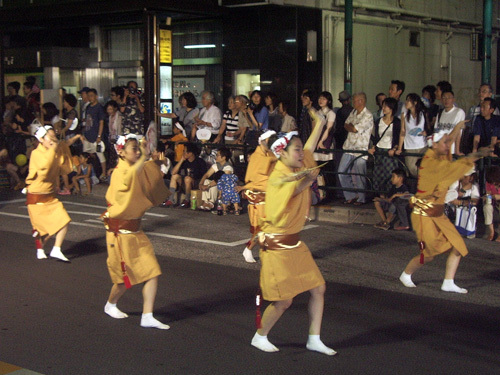 On Saturday, I went to the Koganei (the city I live in) Matsuri (festival). 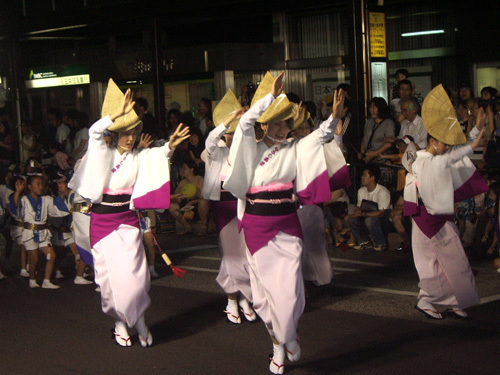 The Japanese festivals are amazing! There atmosphere was beyond what I can describe in words or even pictures. The sound of the drums and the chanting of the dancers mesmerized my ears as the sights of many men, women, and even children danced around in perfect rhythm. Half of the people watching and enjoying the matsuri also wore traditional yukata’s. There were all sorts of traditional Japanese food everywhere with my favorite being the freshly made ‘mochi’ and famous ‘takoyaki’. There were also all the amusing games for the kids with one of the more popular ones being ‘catch the goldfish’. 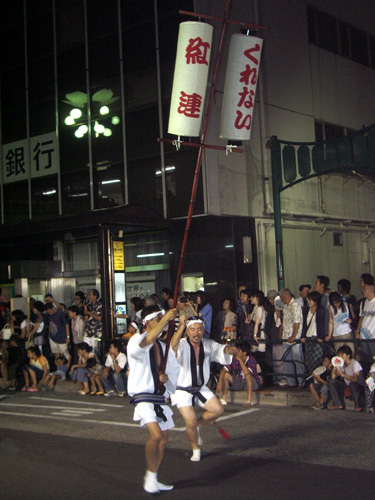 The matsuri is yet another reason why I love it in Japan. The begining of the parade. Today was Ushinohi. 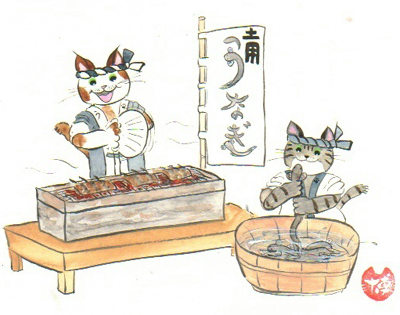 That means that today all Japanese people ate unagi. 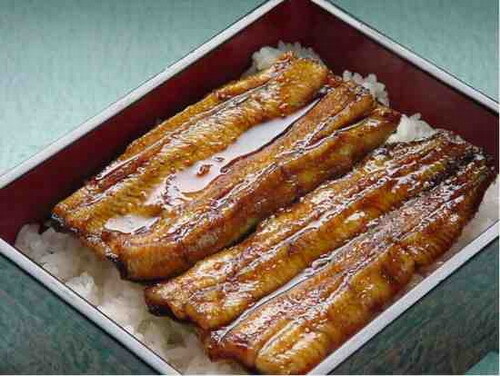 Unagi is fried eel and very famous in Japan, it is also extremely delicious. I learned about this custom when one my students asked me if I was going to eat unagi today. My students have taught me so much about Japanese customs already. Excitedly, I too went to the store and bought unagi for dinner, and it was even on sale today! I now work at Iidabashi every tuesday. It is a very nice place in the middle of Tokyo. The weather today was very strange. This morning was extremely hot and humid, but that seems to be what the summers are like in Japan. The strange weather happened when I left for work. As I left my building I heard some really loud thunder but I paid no attention to it as it was still hot and sunny. Half way to the station this amazingly huge drop of water landed in front of me with an audible ‘splash’. Then another huge drop landed a few seconds later. At this point every Japanese person in my sight started frantically running in all directions. I figured since it was still hot and sunny I had nothing to worry about. Within 30 seconds I was suddenly caught in the biggest, most massive downpour I have ever witnessed. I would be completely soaked within 5 seconds had I not ran to the covered walkway towards the station. I walked in safety for about 1 minute but soon came to a crowd of people waiting at the end of the walkway as there is a short stretch of uncovered path to the station. I, already being slightly wet and not wanting to be late for work, made my way past the crowd and calmly and lonely strolled into the downpour. I walked in the immense rain to the station getting extremely wet on the way. What was amusing to me was the fact that every single Japanese person in the area, cowering in some sort of cover, was staring at me with a look of complete confusion, awe, or maybe disgust. I walked into the station as my train arrived, but the strangest weather was to come. As my train was pulling into the station I heard the sound of banging metal only to look to my feet and see hail on the ground. I was completely amazed to see ice falling from the sky in the middle of summer with record temperatures. After picking some up to confirm its existence I went though the waterfall of water and ice to get on the train not able to get wetter than I was. Finally, as the train pulled into the next station the rain was gone and we had a completely sunny hot day again. In Los Angeles we never have such interesting weather. I love Japan. 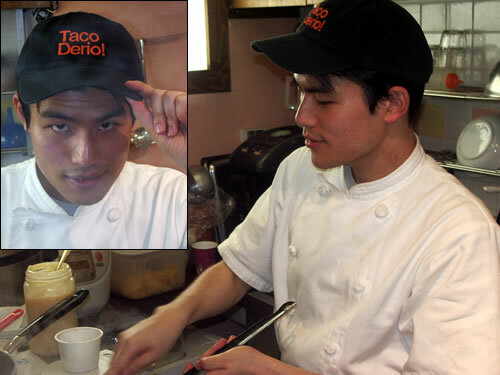 The first Mexican food I have had since I have been to Japan was at a place called Taco Derio. I ate a fish taco. 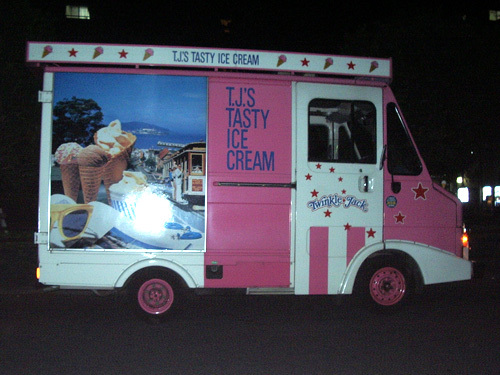 It was surprisingly good. Here is the chef. He has never been to Mexico, or even outside of Japan. On Sunday a storm came through where I live in the middle of the day. It was sunny and hot, then 10 minutes later there was lighting, thunder, and rain. Here is a video of a hot sunny day being overun by storm clouds. 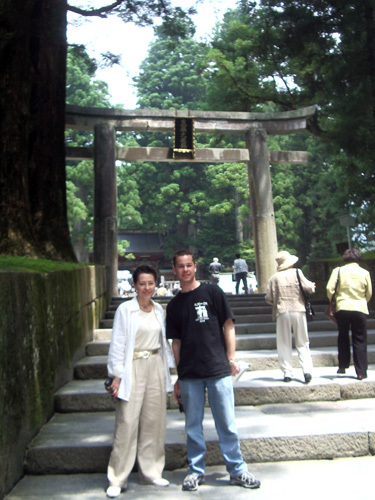 I visited my friend Matt, who is from the States, up in Utsunomiya on July 4th and 5th. He works for ECC as well but in Utsunomiya there isn’t much to do except eat gyoza, which is what Utsunomiya is famous for. 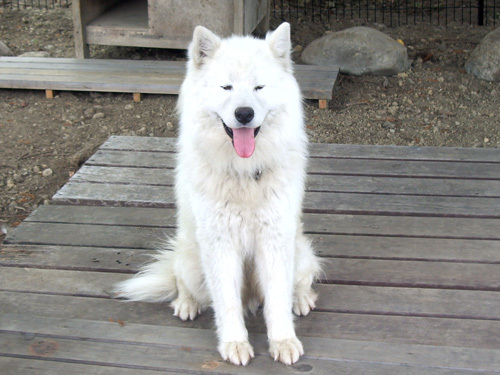 I wanted to visit him and take him to Nikko since it is very close to Utsunomiya and he has never been there. 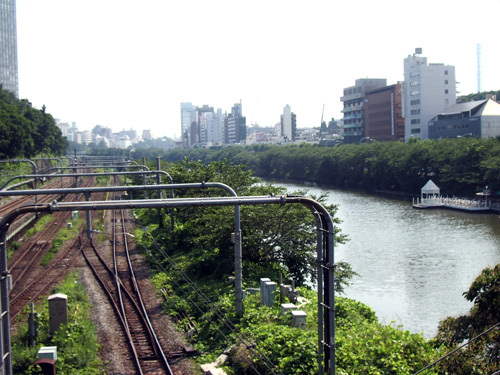 I took the regular train up Sunday afternoon since I didn’t want to pay for the shinkansen. The regular train was still pretty expensive but the difference in time is not that great for the price you pay. Anyway, I got to my friends apartment in the evening and relaxed for a little bit. 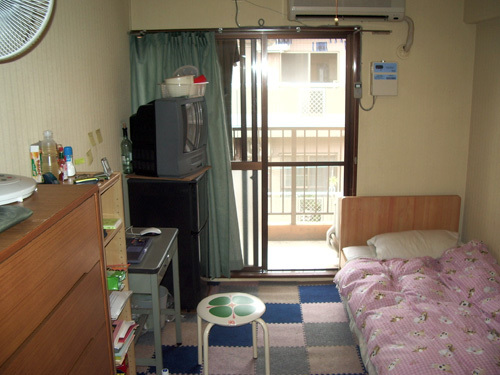 His apartment is a typical small Japanese style apartment with the kitchen, bath, and shower squished into one half, and the bed, desk, and small living area squished into the other. He then took me to this small restaurant/bar near his place that he goes to a lot. The place had hundreds of cat figurines and statues all over the walls, and it was run by this one Japanese guy only. The place was small, but that Japanese guy could really cook. The food was amazing! He made us the absolute best gyoza and fried rice ever. He also gave us free edamame and shochu. Afterwards we celebrated the 4th of July by shooting off some bottle rockets, which can be bought at any convenience store for cheap, in a quiet Japanese neighborhood. 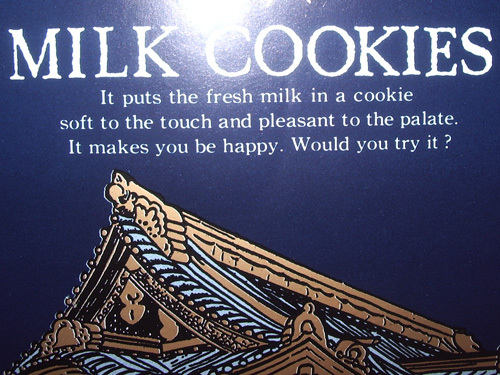 Okay… now on to the Nikko part. I took Matt to see all the famous temples of Nikko: Toshogu Shrine, Rinnoji Temple, Ieyasu’s grave, Futarasen Shrine, and the Shinkyo Sacred Bridge. I have seen them before, but it was great to go visit them again. This Matt and a French traveler we met on the bus. 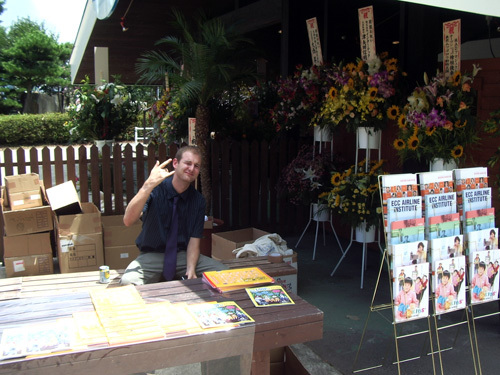 The French person was really nice and shared her photocopy of the Nikko information out of a tour book with Matt. Sorry about the lack of updates. 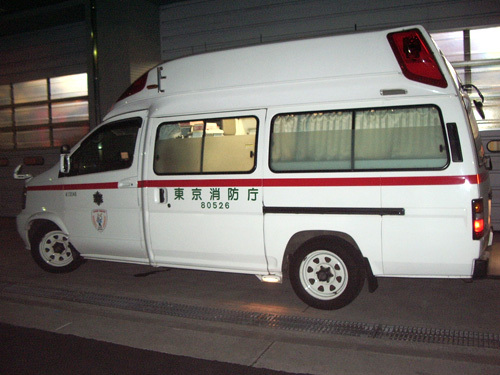 The current heat and humidity make everyone, even Japanese people, very lethargic and tired. There is a thermometer in my room and I returned one evening to see that it read 98°F which is practically body temperature. Add that to 80% humidity and you can realize what life is like here recently. Air-conditioning is a necessity, sleep is difficult, and cold showers 3 times a day is common. Did I mention that I live on the top(3rd) floor of my building? Heat seems to rise and accumulate up here making the inside temperature hotter than the outside. 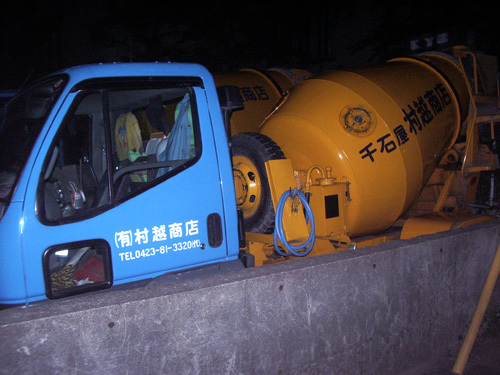 Also, Unlike Los Angeles where the nights are much cooler than the day, the Japanese nights seem to be just as hot and humid as in the daytime. Lastly, I have been told by many of my students that the heat and humidity will just get worse as the summer continues with August being almost unlivable. Knowing that, I will be sure not to be here during August as I get a summer holiday. I was told that Hokkaido is very nice in the summer… Maybe I will make that trip to Russia… Isn’t it winter in Australia during August? It has almost been two months since moving to Japan. I really like it here so far. 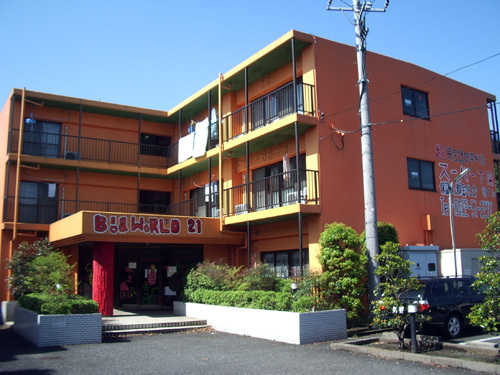 The food is good and the people are great, especially the people that live in the same guest house that I have been living in. 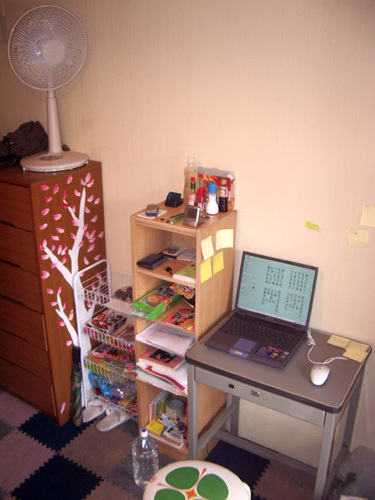 A guest house is very similar to a college dorm. You get your own room but the bathroom and kitchen facilities are shared. 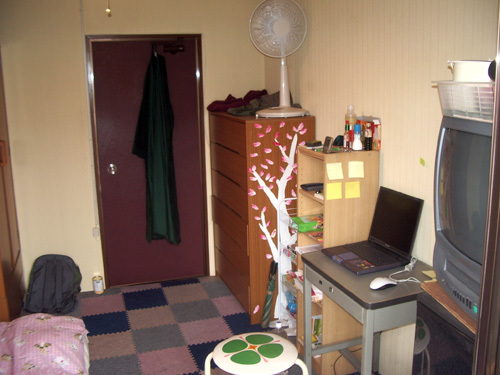 Since I lived in a college dorm for 4 years it is no problem for me, and in Tokyo it is one of the cheaper ways of living. 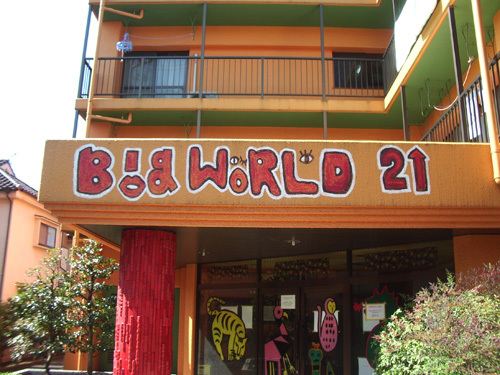 The guest house that I live in, Big World 21, is supposedly one of the more famous guest houses in Tokyo because it has people from a wide range of countries. There are a lot of Japanese people here, which is great for me trying to study Japanese, but there are also people from many other countries like England, Australia, France, Sri Lanka, Korea, Canada, and other Americans. 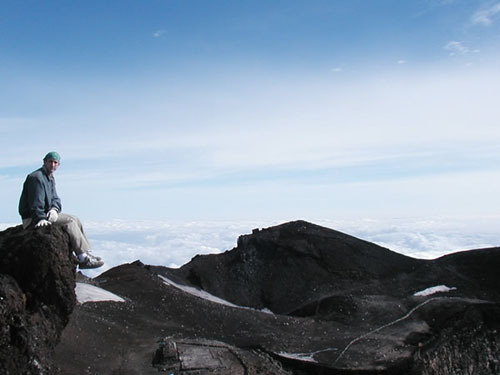 Today will be the exatally 1 year since I traveled to Japan with friends and climbed to the top of Mt. Fuji. I am trying to plan another climbing trip sometime soon, but until then here a picture from last year with me at the top of the mountain. 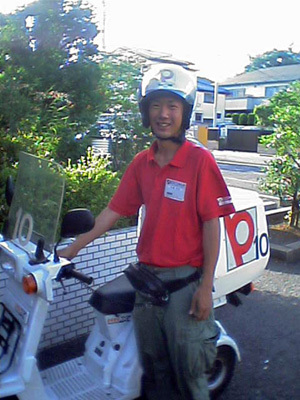 The friendly local ‘Pizza LA’ delivery guy.